Due to severe restriction on the Kurdish language and culture in Kurdistan – especially in the Turkey and Iran but previously also in Iraq and Syria – many Kurds have fled to Europe and to the Nordic countries to be able to preserve their Kurdish identity and to be able to freely use their native language. Literature has since 1980’s been written and published in Kurdish languages (Sorani and Kurmanji) in the Nordic countries – especially in Sweden – and today the Kurdish-Nordic literary heritage consists of hundreds of books and dozens of journals published and Kurdish-Nordic literature has its own library and writers’ union. Culture for All Service in cooperation with Nordic Culture Point would like to invite you to the release of Husein Muhammed’s new report My Language, My Homeland. 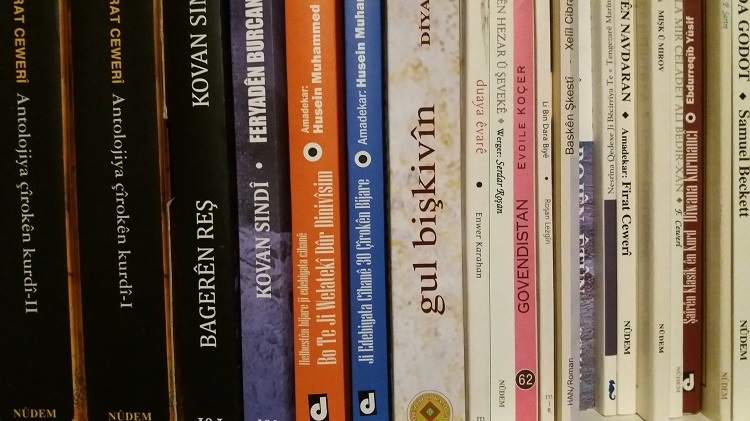 Recommendations for the Improvement of the Kurdish-Nordic Literary Field. The report maps the history and the situation of literature in Kurdish languages in the Nordic countries and the obstacles the writers are faced with. The report also includes recommendations and concrete suggestions on how to strengthen Kurdish language literature and support its writers in the Nordic countries. Husein Muhammed will present the report at the event and his presentation will be followed by a commentary and a public discussion. After the discussion snacks and drinks are served. The report is one of the outcomes of the Culture for All run project “Multilingualism and Diversity as a Resource in the Cultural Field” (2016–2018). The project is a subproject to the priority project “An Open and Innovative Nordic Region with Healthy People 2020 – Equal Opportunities for Welfare, Culture, Education and Work” that started during the Finnish Presidency of the Nordic Council of Ministers in 2016. In order to buy enough snacks and drinks, we’d appreciate if you could tell about your attendance in advance through this link. The TING-hall in the Nordic Culture Point is accessible. Assistant dogs are welcome. The TING-hall has an induction loop.